Brazil: Sustained Attention to Sustainable Development? Media coverage of the approaching World Cup in Brazil has touched on the country’s contemporary ecological challenges, but they have glossed over their underlying causes. 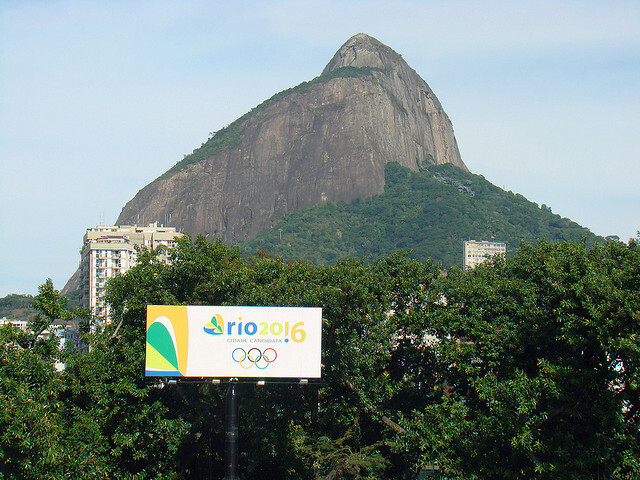 Because of Brazil’s association with international sustainability accords, large international events – such as the “Rio+20” sustainable development conference two years ago and the 2016 Olympics – provide vehicles for global news media to focus on Brazil’s performance on environmental issues. Among this flurry of journalistic coverage, two distinct narratives emerge. In one, journalists look at sustainability with reference to economic modernization, suggesting that environmental problems are the outcomes of policy failures and ineffective governance. Commentary in this vein calls for greater technocratic competency and a commitment to the development pathways of the global north. In the other narrative, sustainability is set in the context of social justice and economic inequality. These views lead to different responses. The international bodies overseeing the upcoming sporting events – such as FIFA and the International Olympic Committee – demand that the Brazilian government do more to clean up beaches, improve transportation infrastructures, and purchase carbon offsets to compensate for the impact of new construction. These prescriptions ignore, however, that environmentalism in the developed northern economies emerged from a distinctly middle- and upper-class preoccupation with aesthetically pleasing environments, such as wilderness, scenic landscapes, and exotic game. Frustration with the pollution in southeastern Brazil’s Guanabara Bay, for instance, echoes the North American desire for well-managed spaces for outdoor recreation. So too does the narrow focus on the plight of Brazilian armadillos, the vulnerable species chosen as the World Cup mascot. This emphasis corresponds with a narrative that many Brazilian leaders would want to put forward – that the natural splendor of Rio de Janeiro in particular, and Brazil in general, can be secured by the kind of straightforward cleanup efforts that attended economic prosperity. However, Brazil’s ecological woes cannot be solved by garbage scows, and endangered armadillos and the lack of clean recreational spaces are hardly Brazil’s most pressing obstacles to environmental sustainability. Guanabara Bay is fetid because so many Cariocas, or Rio residents, lack access to basic sanitation. Armadillos are threatened by deforestation that is as much a byproduct of global economic demand. As elsewhere, environmental problems in Brazil are caused by myriad social, economic, and political factors. Ameliorating the most visible impacts of these factors – protecting a charming creature or purifying noxious waters – addresses only symptoms. International attention to sustainability issues in Brazil should be more mindful of social justice. Brazil’s current political unrest centers on deeply shared public concerns about injustice, and addressing the problems giving rise to contemporary social movements will offer an important corrective to mainstream public discourse about sustainability. International attention to the negative environmental impact of international sporting events, and accompanying investments in infrastructure, risks overlooking the unjust structural processes that complicate solutions to environmental problems. Rather, the global popularity of sport provides an opportunity to deepen and expand international discourse about the human dimensions of ecology. *Evan Berry is an Assistant Professor in American University’s Department of Philosophy and Religion.